Through this, the beauty and wonder life and love can portray to us if we give it the means to do so, i wandered into the realms of the “beginning” and perhaps more prolifically, “endings.” Everything ends, and its always sad when it does. Days, weeks, years, movies and even life itself. Eventually and in someway, this world will signal to you, that an ending is on its way and you should prepare for a prolific change in your well heeled, familiar mental configuration, regardless of whether you want it to happen or not. I have never been good at endings.I don’t know how to deal with them, for the fear of losing something or a change making me unable to live in such a way that allows me to do and think as i want to and live in such a way that should mean i will be able to catch the occasional curve ball. The problems of endings can hit you so much more i think for they are so saturated in emotion. It means you feel so much so fast- fear, joy, loss, happiness, love. Its like someone takes your understanding of what these emotions are and how you make them feel, then takes both dials and turns the volume up to eleven. What would be the effect on your life if there were no endings though? Would it change the way we feel about life and love, modify our dreams to a level in this time constrained world we may never really understand? Beyond all the endings of events, people, and beautiful moments in my life i wish i could have lived in forever, there is always that inevitable end, the draw of that final breath as the embrace of death beckons you with open arms. It’s impossible to know exactly when its coming, just that it will, like the end of a fast flowing river there is no way off of. I have always believed that this ultimate end motivates us to live life to the best way we can, for in the grand scheme of time, we don’t get long. You work so hard to find your flow, understand your rhythm and work to it as best you can. You hope that your rhythm can benefit someone, and make them feel good as you meander through life, where hopefully you meet people who you learn to trust and love so much as you push each other to be as brilliantly unique as you both believe you can be. How would life be changed if we found a way off of the fast flowing river? Now, i’m not saying that I’ve found a way to cheat death, to avoid our supposed inevitable end, but how would it affect us if we could? I feel like it would be a very empty and painful experience, for that eventually we would give up on feeling good, for as the world constantly turned as you remained still, everything meaningful and loving to you would just turn to dust, the scale of time becoming so difficult to understand that to lose someone who meant so much to you ending up being nothing more than the end of a nice day. I maintain though that everything you lose in a never ending life would still be felt just as strongly, only to be drenched in a sort of unimaginable anguish, only temporarily relieved with these fleeting connections in which the ending is inevitable. Ironic really, if you were to avoid your ultimate ending, the major staple of your mental diet would be the bitterness of an ending and all the thoughts and feelings that come with it. To avoid an ending, all you would end up doing is experiencing the feeling that comes with an ending almost constantly. Through never ending life, we lose the point of life, the desire to feel and do things that make us human. The often debilitating fear of endings can do so much more than not want the song to end, for it can motivate you to live a life in which the first note doesn’t resonate from the piano. I have never been convinced that the end of the event, relationship or love as a part of your life is where that fear comes from though. To me, its more the way you feel when it happens, how you think and what you do. Moreover, even in the ultimate end, in death, I wonder if this is what really fear, in that we do not fear death, more not having lived. 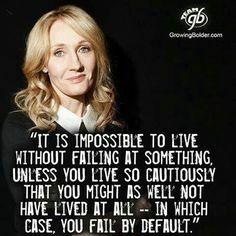 Its the ultimate conflict, as to live in fear of the way you feel, to fear that things won’t turn out the way you hope , or to live so cautiously, so in the dark from the brilliance life can offer and not allow yourself the life and love that you yearn for so much, you may as well not have lived at all. Never ending life would be a curse of a form, because no matter how terrifying endings are, i think we need them. They give our lives, the ideas and relationships a meaning that cannot really be defined or understood, but respected, in what they allow us to think and feel. If we know the end is coming, regardless of how, where from and to what extent, it means so much more to feel good when success comes, when you see an idea come to fruition. Time can make love seem exponentially more powerful for that single moment can mean so much more as a beautiful snapshot of life, only for you to want to moved forward and find new amazing snapshots. Put simply, it gives us a sense that we belong, that we are part of this forever changing world, so much more than living on the outskirts. To concentrate on the inevitable, whatever way it comes, seems such a waste, its going to happen regardless, so as we live, love and occur in everything in between, simply respecting the end, to me, creates something so much more than simply being human. I think it gives us the capability that in a world in a habit of appearing to be remarkably miserable, its gives us the means to be happy. and surely happy is good right? 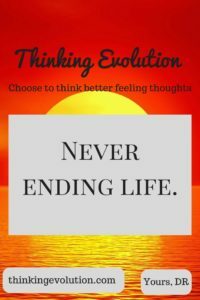 What do you think of never ending life? How would it affect you, if at all? Should we be living to avoid endings? Does it do more than simply inspire us to live so much more to those dreams that me make for the point in life?